Benefits: exfoliates and gently polishes, improves firmness and elasticity, stimulates metabolism and blood circulation, reduces inflammation and irritation, whitens and evens. Composition: red Asian rice flour, coconut shell powder, oat grain flour, white sandalwood powder, vanilla ground seeds, tocopherol (vitamin E), vanilla extract. Powdery facial scrub Vanilla Sky is created exclusively from natural ingredients without the use of sulfates and synthetic additives. Even its creamy color has been achieved by mixing hues of natural ingredients. Facial scrub contains no water – that is why it has a dense, concentrated, nutrient consistency. 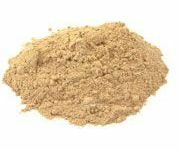 Asian rice chaff, milled oat grain and shredded coconut shells are main absorbents. After use sensitive skin becomes smooth and gentle. Resilient to the touch and fresh in appearance, wrapped in an appetizing aroma, it will glow with natural beauty and invincible youth. Fragrance of the Vanilla Sky is envied even by the skilled confectioners. The composition recalls the sunny beaches of the Caribbean islands, where the smell of coconut pulp, split on stone boulders, is closely intertwined with the scent of blooming orchids. A lush bouquet of refreshing woody-spicy sandalwood. Now facial skin care gives you some room for imagination. Take a dip in a romantic feeling of boundless freedom. With just a little bit of imagination - and the sunset vanilla sky will be reflected in your mirror. Miracle cure will help you feel seductive and courageous heroine from Caribbean legends. Are you ready to make a step towards a carefree adventure? Then let's go! Scoop 1 teaspoon and stir with a small amount of warm and clean water until smooth mushy paste. Apply the elixir onto the tips of your fingers and start massaging face and neck gently in a circular motion. Avoid the skin around your eyes! Owners of normal and dry skin are recommended to enjoy the vanilla sky scrub no more than once a week. For oily skin it is possible to repeat the procedure every 3-4 days. 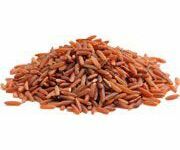 Oryza Sativa Powder (Brown Rice): Red Asian rice - the dish is beneficial for us and for our skin. Fine rice flour has a high nutritional value. It contains omega-fats, starches, proteins, and a variety of substances that provide skin health. Moreover, the rice flour composition has a stearic acid, which greatly enhances the protective functions. 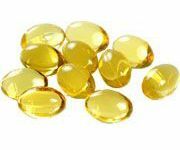 Vitamin F gives skin firmness and elasticity, and palmitic acid gives you softness and retains moisture. Finally, Asian rice is rich with linolenic acid and powerful antioxidant which as if pushing back the time slows the aging process. Cocos Nucifera Shell: The main accord of this appetizing composition – is a coconut shell. Grounded to powder, it gently and effectively removes dead skin cells, without scratching or damaging the skin. The shell itself contains substances that contribute to the removal of residues, toxins, radionuclides. 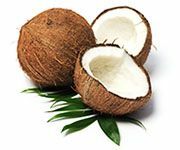 Coconut shell is used to create an absorbent coal medicine for good reason after all! A coconut pulp remaining on the walls of the shell before grinding, stimulates metabolism, tightens skin, gives it elasticity and helps to preserve youth. Avena Sativa Meal: Who does not know about the infinite benefits of the oat bread? Oats flour gently polishes clean skin, removing any tiny remnants of dead cells. In addition to a pleasant massage oatmeal stimulates blood circulation and metabolism. 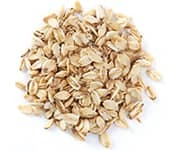 Selected oats of noble varieties are rich in fats and vitamins, it contains an impressive amount of protein, starch, vitamins A and B, choline and other nutrients. Santalum Album Powder: Unsurpassed beauty effect of the white sandalwood in Ayurveda is known since ancient times. Crushed into flour sandal has a strong antiseptic effect and eliminates the most difficult inflammation. A fragrant sandal has a cooling and antibacterial properties, as well as miraculous ability to purify the skin, normalize sebaceous glands and pores. Sandalwood fragrance similar to the bland whispers - it quietly envelops senses, relaxes and calms the nerves, gives a serene tranquility. Vanilla Planifolia Seed: Grounded vanilla seeds - are from amazing plant of the orchid family. The flowers are on long and flexible vines disclosed only for one day and are then pollinated by bees and certain types of hummingbirds, and then long brown boxes with seeds are formed. In them lies the main nutritional value of the royal plant. Seeds perfectly soften, nourish and tone the skin due to aldehyde vanillin (about 3%), which also gives a specific sweet smell. Cinnamic ether and tannins reduce irritation and inflammation of the skin, especially to women during the menstrual syndrome. 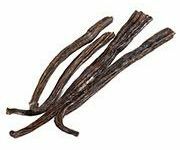 Vanilla Planifolia Bean Extract: Your skin loves "Food" with vanilla. "Nectar of the Gods" is full of natural sugar, fats and mineral salts, which fill the cells with energy and act as moisturizers, increasing skin elasticity and softness. Vanilla has a delicate whitening effect, evens tone and refreshes the skin. Its natural and long-lasting aroma resembles the smell of the milk, and brings with it a sense of peace and security, driving away the anxiety and stress. Couple of breaths - and soul will bloom with gentle creamy flowers.